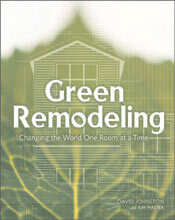 "Green Roofing Options," Smart Homeowner, July/August 2006, p. 22-29. "Simple Solar Heating and Cooling," Mother Earth News, Summer 2006. Natural Home and Garden, "A Home Office That Works," July/August 2005, p. 55-57.